Project type: content management, web design, website management. National Libraries Day 2012 was the first-ever nationwide event to celebrate and champion public libraries, backed by a host of high-profile national organisations including CILIP, the Reading Agency, the National Literacy Trust, the Women’s Institute and the Library Campaign – and the even has gone from strength to strength in subsequent years. 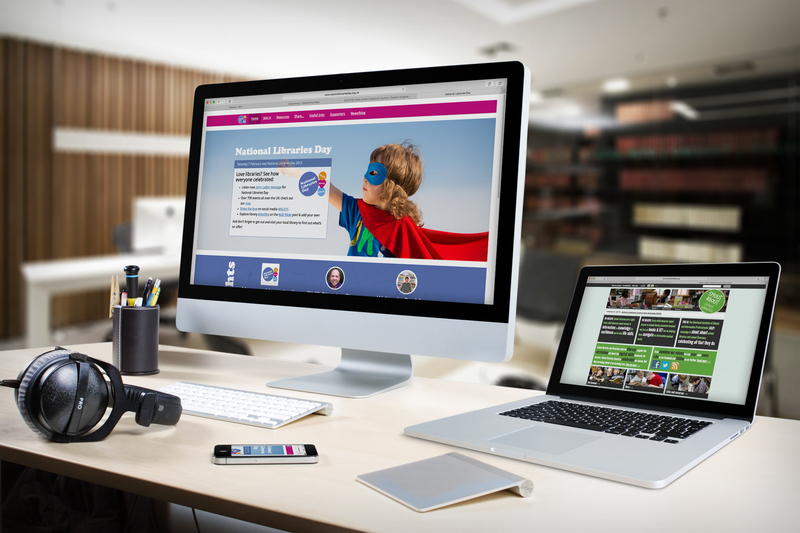 Onlineability came on board at the start to work with librarians’ professional body CILIP on the 2012 website. Our brief was to produce a strong call to action that would encourage people to organise and join in with local events as well as using social media channels. We have developed the site year-on-year on a project basis, including a complete rebuild for the 2015 event, and will now be providing ongoing support. As passionate supporters of libraries, Onlineability is very proud to have been commissioned to work on this project as well as on the SHOUTABOUT campaign to promote school libraries.